Baby: A plum – hello, stone fruits! The different apps are thoroughly in disagreement about fruit sizes this week, and last week, and next week! Some have in order of size: fig, plum, lime; another is lime, clementine (! ), peach; and yet another is lime, plum and then peach. I’m confused! Which fruit is it?? What I’m cooking: Many organs are coming on board now, the spleen and liver are doing their thing, and the kidneys are processing baby’s first urine (awwww). The even lovelier bit is that the baby pees, then drinks it, then pees, and so on. Yummo! Main symptom: A burst of energy! I can’t believe how different I feel after stopping Crinone on Sunday. I feel like I’ve woken up out of a daze. Sure, I’m still pretty tired by the end of the day, but it’s normal tired, not zombie tired. Much more manageable! 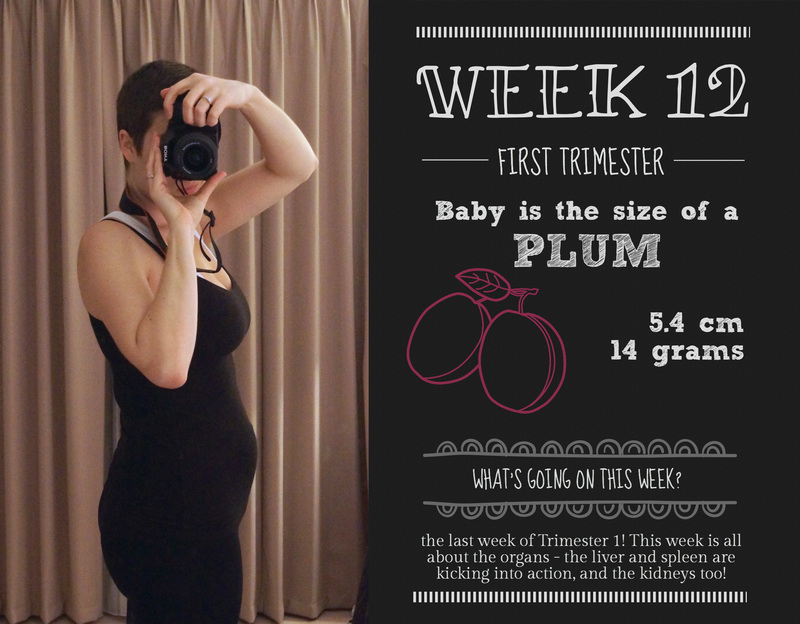 What’s on this week: The countdown to Trimester 2 begins! 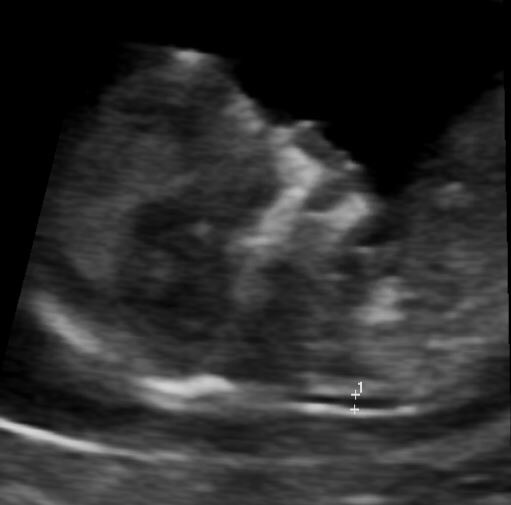 We had our Nuchal Translucency scan on Monday (I’m running a little late this week), which was pretty amazing. More details below. Hello there! Sorry I’ve been slack this week, you would think that with more energy would come more focus to write my blog updates, but you’d be wrong. I seem to be revelling in my newfound energy by wasting it all on staying up past 9pm, watching TV. Oh the decadence! Well, that and apparently growing a massive bump. Where did that spring from?? I’m currently counting down to the end of the first trimester…yes, at the END of Week 12. There are so many arguments over this on the forums I read, and on the Internet in general, which basically boil down to the disparity between 9 months of pregnancy, and 40 weeks (the more used version when in the thick of it). The thing is, pregnancy is not 9 months long. It’s frickin’ 10 months, and don’t let anyone tell you otherwise. Those who go by the 9 month model split it into 3 neat chunks of 3 months, which means that once you hit 12 weeks, you’re into the second block. The problem with this is it doesn’t work. 9 months takes you to 36 weeks, which is considered premature if you go into labour. So, the 40 week or 10 month model gets hauled out more often, and splitting this into 3 lands you a little past 13 weeks. So there’s my explanation. I’m going with still being in the first trimester, and I’ll count next week as the start of the second. So there. Anyway. Let’s not argue. 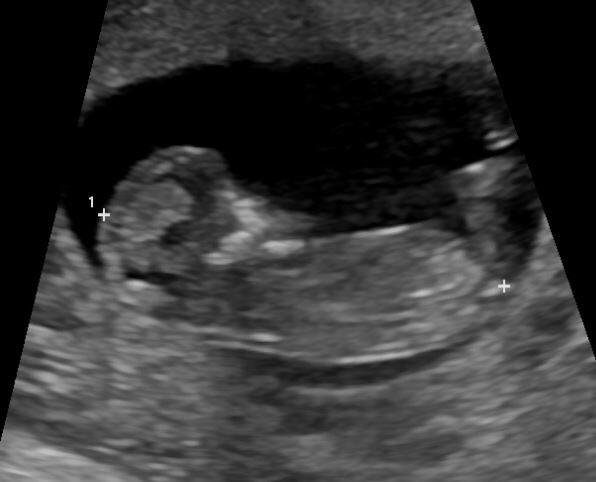 I had another scan on Monday! This one was a ripper. The repeat from last time (read all about that mishap here), with added pain from my ridiculously full bladder. Remind me not to have soup for lunch 10 minutes before I drink a litre of water and ban myself from peeing for 2 hours. Not fun. What was fun, however, was the scan. 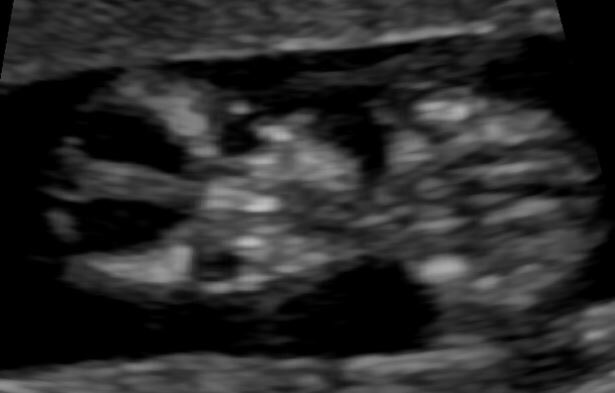 This was a lot more involved than previous scans, and the technician had a good look around my, um…egg basket…to check everything looked good. He was lovely enough to point out everything he was showing us, even when little Grub kept turning his bum to the screen instead of lying lovely and still for his measurements. He/she is a terror already! We saw all the features – the head, face (super creepy! ), legs, arms, fingers, toes, stomach, heart and brain. He also checked my uterus, ovaries and kidneys. Quite thorough, but great to know that everything was exactly as it should be. The measurement that indicates an increased risk of Down Syndrome or other abnormalities was perfectly within the normal range, which was a huge relief. look at that beautiful profile! …aaaand the creepiest face ever. You thought i was kidding about the alien face, huh?